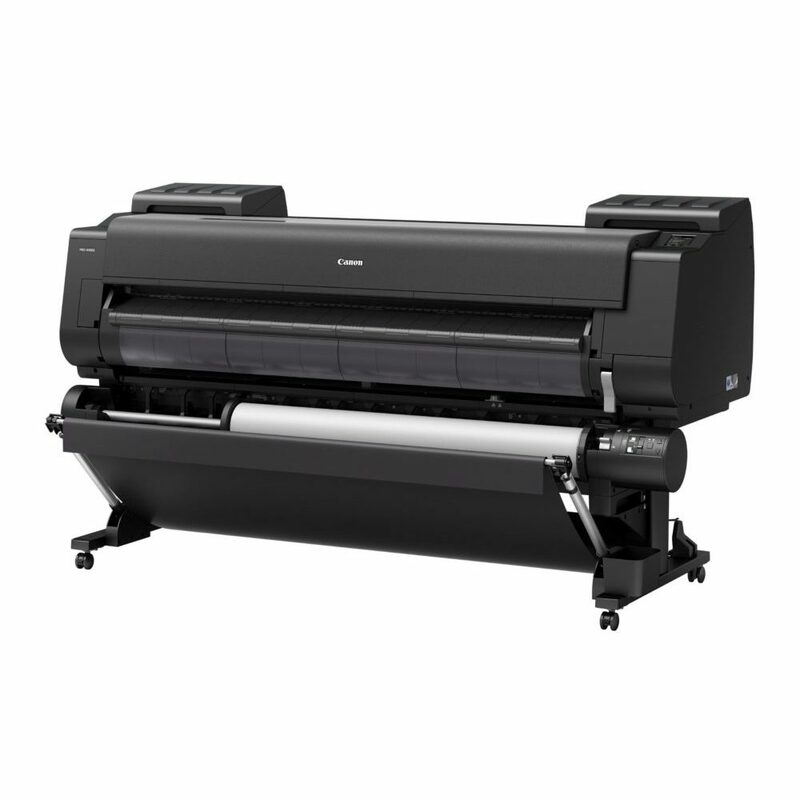 Built upon the advanced Canon PRO printing platform, the 60-inch imagePROGRAF PRO-6000 is the next generation 60″ large format printer the industry has been waiting for. 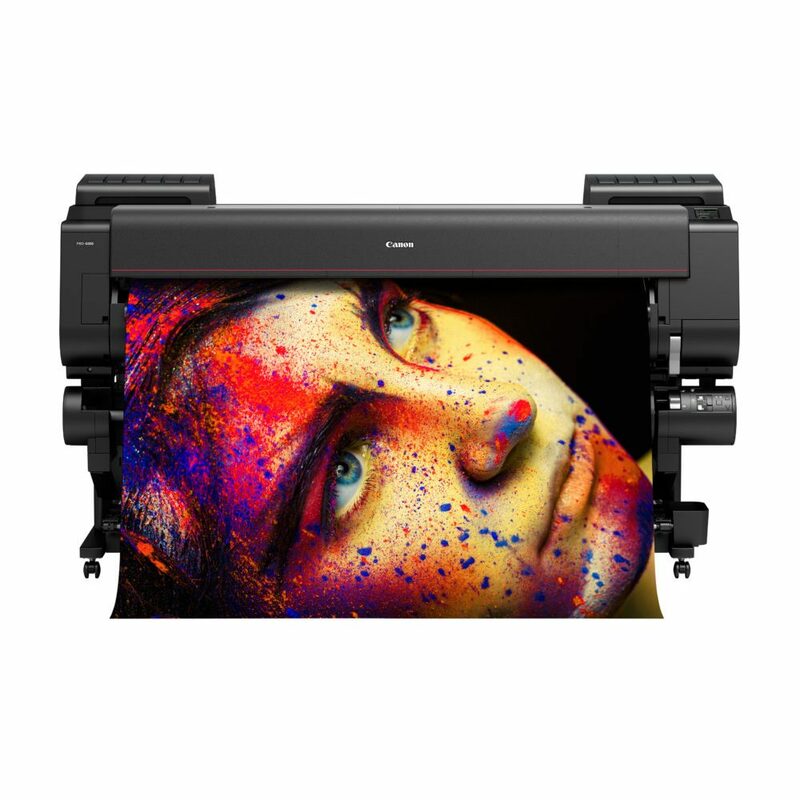 High quality printing, a wide colour gamut, sophisticated colour management functions and innovative media handling solutions all come together into a single, seamless system that is ideal for producing massive prints that look as equally stunning up close as they do from across the room. 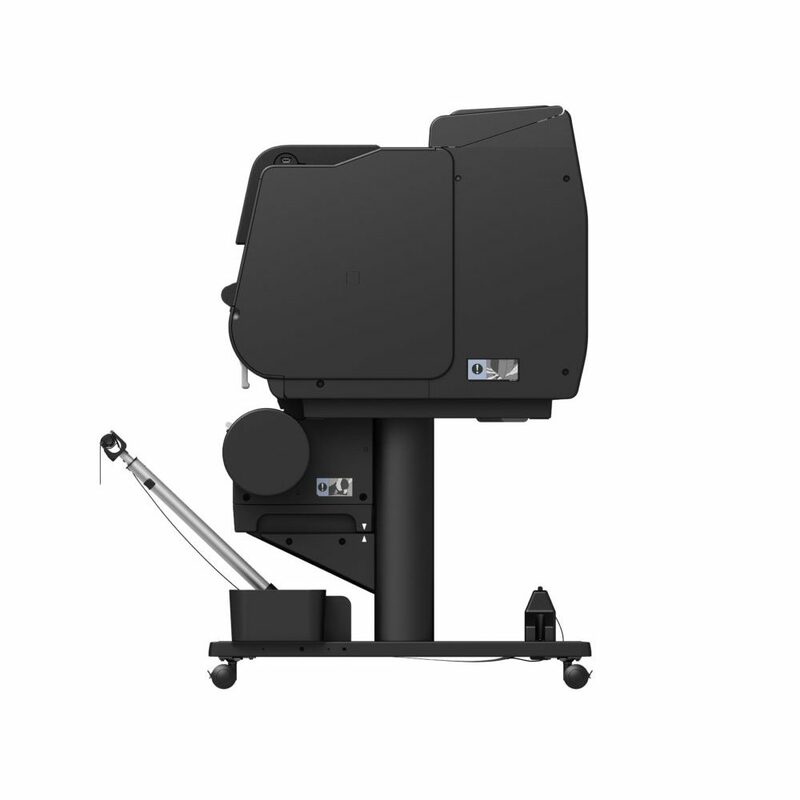 The colour calibration function is designed to produce consistent colour reproduction. 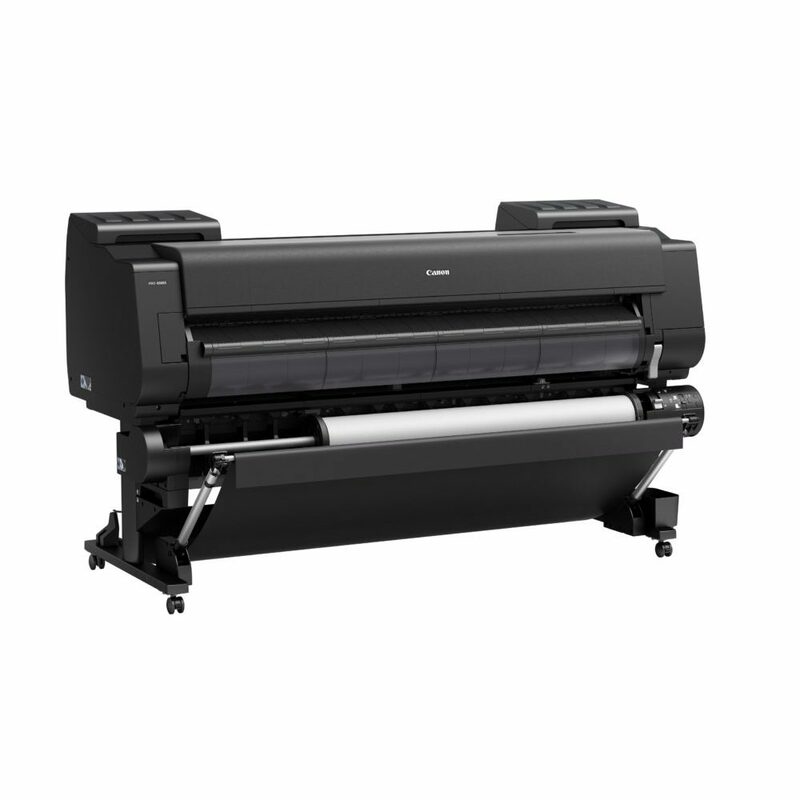 This new printer includes an upgraded, built-in colour densitometer that offers precise calibration and colour matching. 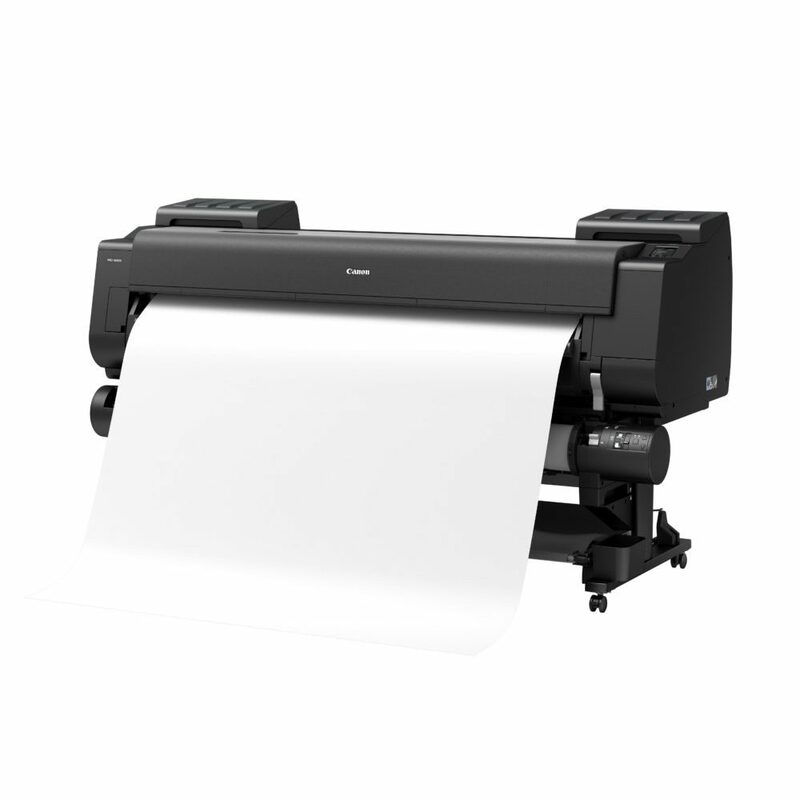 Using a three-colour LED and condenser lens the sensor enables accurate recalibration of the device, allowing you to maintain a low average printer-to-printer colour difference. The colour calibration is finished quickly after a few simple steps on the printer's operation panel. A single colour calibration performed with one type of media is used to make adjustments on the other Canon supported media. The Device Management Console software, ideal for fleet management, lets you perform colour calibrations remotely. This software lets you monitor the printer status of up to 50 units from any location in the world, be notified via email when an error has occurred, or check the amount of ink left in the printers without ever having to leave the comfort of your desk. 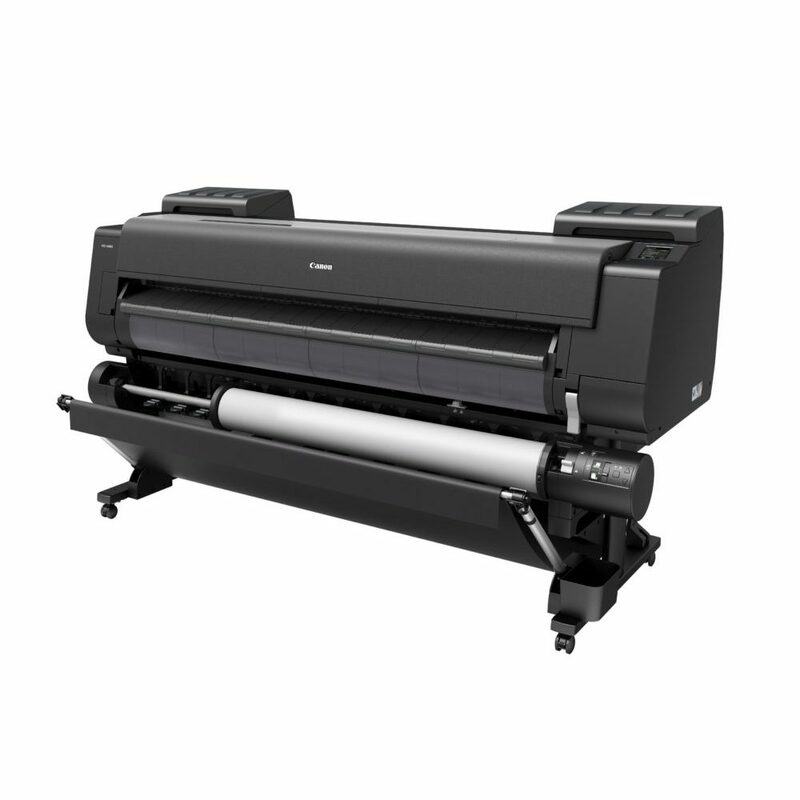 Creating large format prints is now easier with the introduction of Print Studio Pro1 for imagePROGRAF large format printers. This software offers features that streamline your printing workflow. 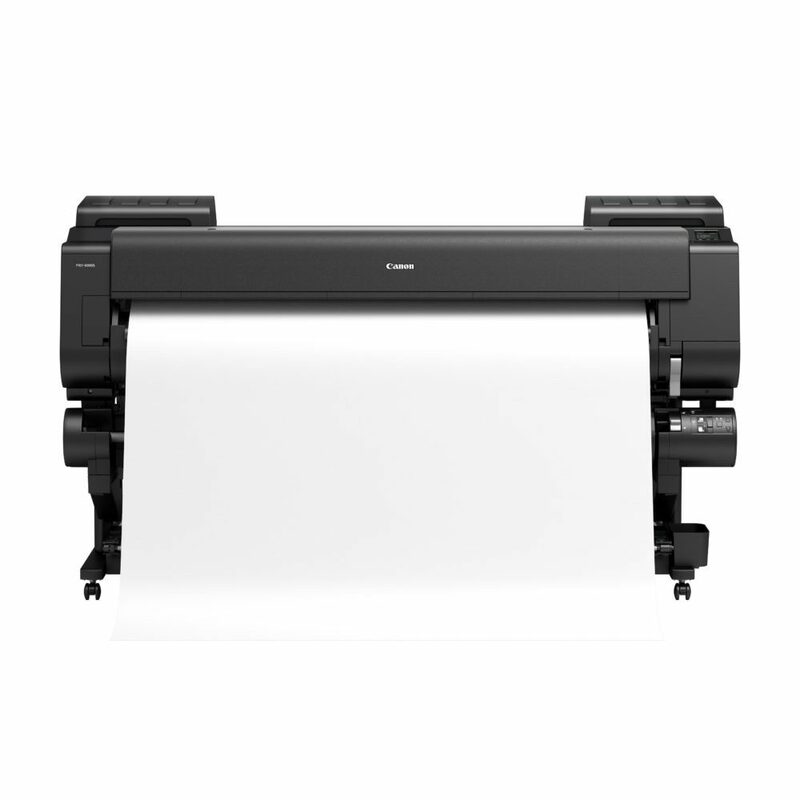 Compatible with Canon Digital Photo Professional® software, Adobe Photoshop® software, and Adobe Lightroom® software, Print Studio Pro offers versatility never before seen with Canon Large Format printing. Available in 160ml, 330ml, and 700ml ink tanks, you have the flexibility to purchase ink based on your printing needs. 700ml photo black ink tanks can be purchased for those often printing nightscapes and 160ml magenta ink tanks for the occasional sunset image, giving you the power to purchase ink based on the colour frequency at which you print. 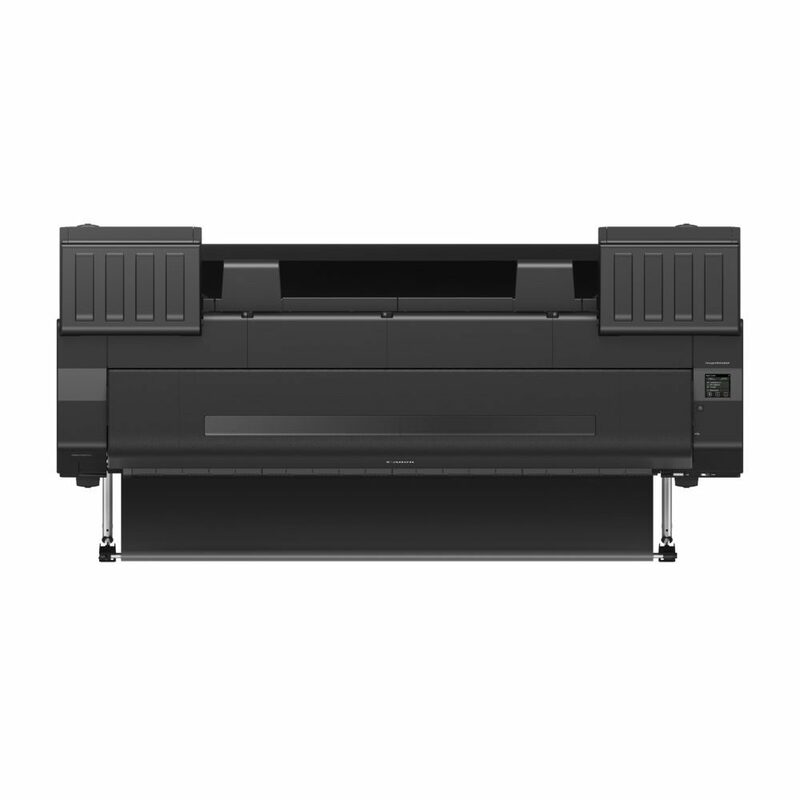 This Windows® and Macintosh® drivers incorporate simplified page setup options, one-touch borderless printing, expanded colour settings, and much more into a printer driver that is intuitive and easy-to-operate while still giving even the most advanced users the tools needed to stay productive. (Roll Media Only) 10", 14", 17", B2 (20.3/515 mm), A1 (23.4/594mm), A0 (33.11841mm), 24", 36", B0 (40.6/1,030mm), 42", 44", 60"
3. For imagePROGRAF Printer Driver. For printing from PostScript applications such as Adobe Illustrator or QuarkXpress, please use a PostScript compatible RIP package. For a list of Canon recommended RIP packages, please consult with Canon Alliance and Industry Market list of RIP vendors. 4. Your server must be compatible with a webDAV enabled cloud account, including but not limited to, Google, Carbonite or Rackspace, to take advantage of the cloud functionality. Storage capacity and any pricing thereof is based on the third-party cloud providers current offering, at its sole discretion. Your cloud account is subject to the third-party cloud provider’s terms and conditions. Neither Canon Inc. nor Canon Canada, Inc. represents or warrants any third party product, service or feature referenced hereunder. 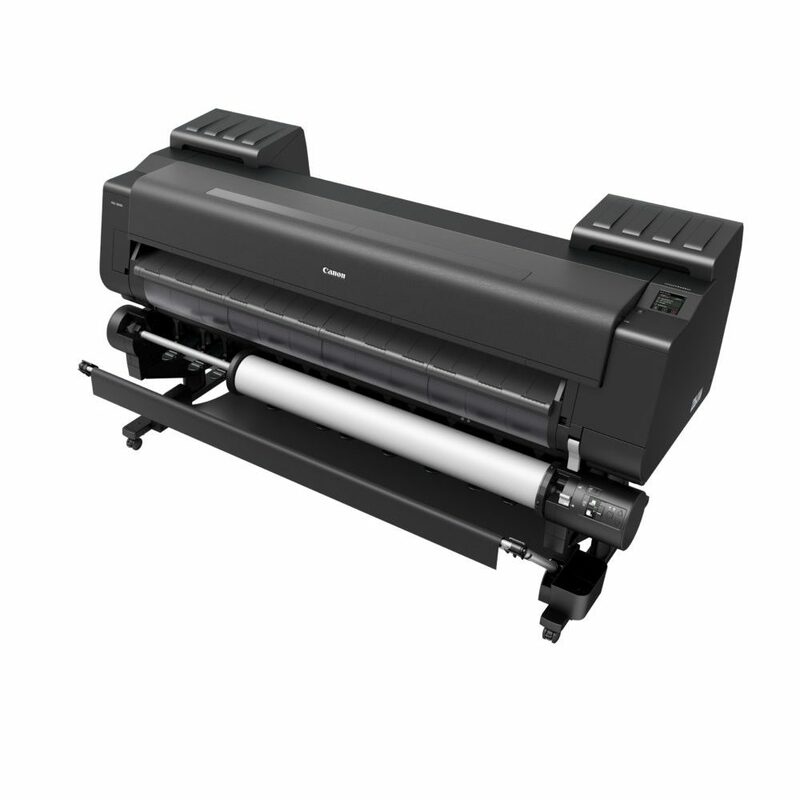 *The starter ink tanks initially packaged with the printer are 330 ml tanks.